View hotspot data on the interactive map and read about updates in our blog posts below. Investigations in Pine Tree Brook in Milton have uncovered a suspicious outfall discharging E.coli contaminated water into the brook. 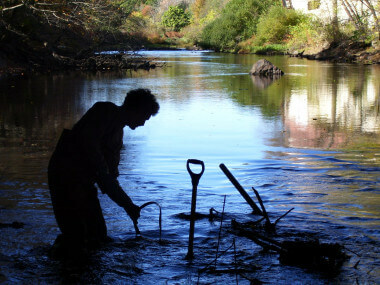 Investigations of Pecunit Brook in Canton have located two potential points of sewage contamination. There are ongoing hotspot investigations in Norwood, Canton, Milton, and Sharon. Read more. 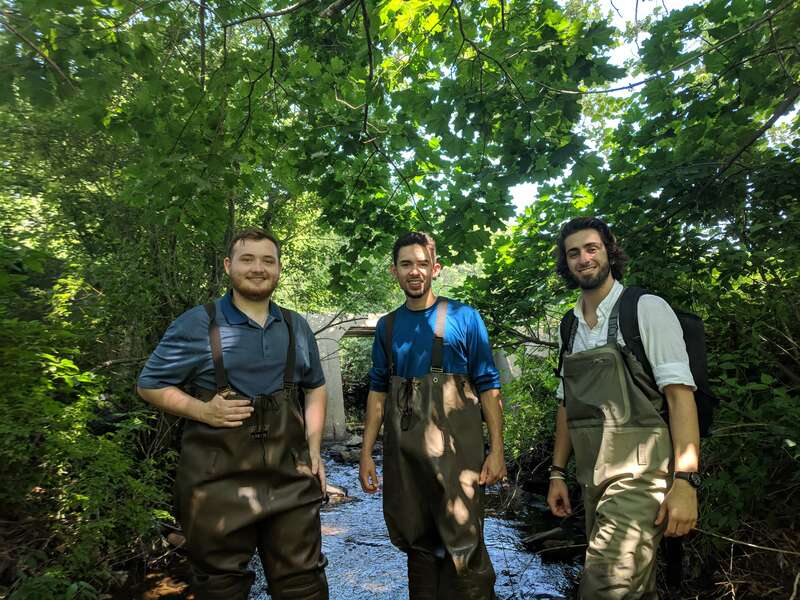 Work done in Unquity Brook has led to the discovery of two sources of sewage contamination along the brook and may have solved the on-going E.coli mystery. Investigations in Norwood and Westwood have confirmed that past sewage leaks in those towns have been successfully fixed. We are currently investigating high levels of E.coli in Pine Tree Brook in Milton. Read more. A tremendous thank you to the 361 families that came together this past fall to push us over the top with our Hotspot Project Challenge Grant! Learn about the origin of the Hotspot Program. To launch the Hotspot Program, three generous families pledged to increase their existing giving by a total of $10,000, but only if we could raise the remaining $20,000 through new or increased gifts from local businesses and individuals by the end of 2015. 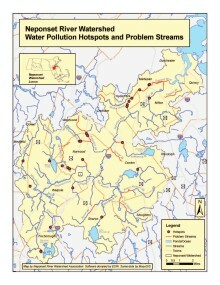 Click on map at left to see problem areas within the Watershed.